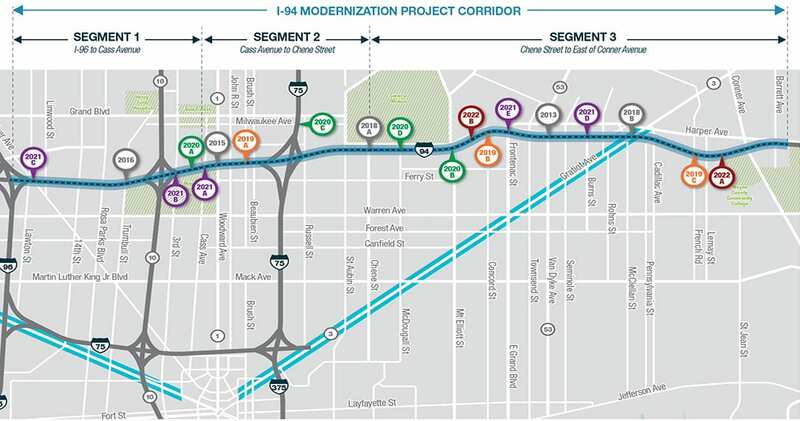 The I-94 Modernization Project is undergoing changes to the original design to ensure that the project merges expectations of stakeholders, with safety requirements of the FHWA. In the meantime, MDOT is rebuilding several bridges that are in very poor condition. 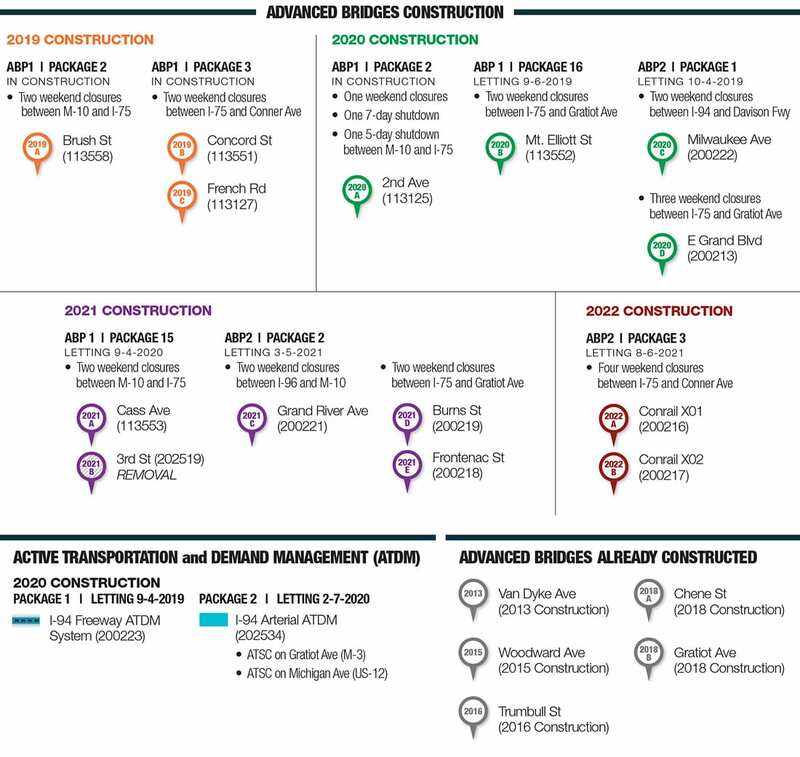 This Advanced Bridges work does not impact proposed modifications and will be carried out as described here.